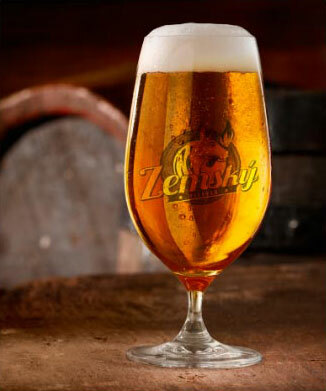 We want to brew GREAT classic Czech beer and introduce new international styles and types. Moreover, in the world there are close to 100 kinds of excellent beer. In the Czech Republic, industrial breweries are brewing predominantly only one type out of these beers: the bottom-fermented Pilsner style beer. It is exceptionally good beer and rightfully belongs as the country’s flagship. About the other types of beers, however, the Czech Republic has to date known very little. We will be gradually introducing these other beer styles as well. We want to raise awareness of beautiful traditional Czech and non-traditional international brews. We want to offer them for tasting and comparing with our local beer. We think that Czech consumers deserve to know everything that belongs to the rich Czech brewing culture as well as the expansive brewing culture around the world. Breweries have been closing in Prague since 1899, quite often in recent years by their international mother companies. The last brewery was built sometime in 1966 in north Moravia. Since then, no new larger brewery has opened in the Czech Republic, the country with the largest per capita consumption of beer in the world! Our vision is to recreate a time where beer is not diluted with water and where you can read the raw materials from which they are made on the beer label. Beers that are not cheated of their maturation time or of top quality ingredients. We are making ten-grades that are truly tens, and 12-grades that are full flavored lagers. Our brews will speak for themselves with their flavor and fullness. We produce great beer with good recipes and traditional techniques. Just as good cheese and sausages need their time for maturation, so does a good lager.